And my hopes seemed to be boosted when the viewer disclosed to me yesterday I had been the only person who had called about the lot so maybe I could pick up a bargain! So it’s a sunny morning and I am feeling happy – it’s amazing how good properties can look when the weather is nice! The property I am here to see is a former Indian restaurant with 8 rooms above. It’s located in a pedestrianised area of the high street in Poole which is a bit of a mixed bag. The area immediately surrounding the subject property is in a state of flux – transitional and uncertain would be the best words I could use to describe the location! Basically you have blue chip retailers opposite and 2 shops down – but at the same time there is a healthy dose of charity shops, pound shops and boarded up shops. So I’m a little bit put out to arrive and find two other developers looking at the property – I no longer appear to be having a monogamous relationship! However, I am even more put out when it turns out the safety key box which was attached to the property has been stolen by the former owner and we now can’t even gain entry! While we wait for the man from Allsop auctions to make it look like he is trying to do something useful, I get talking to the other property developer who is waiting. And while you may be thinking developers are all competitive and dog eat dog (and sure that happens) but sometimes – just sometimes – you come across developers who have made their money, have made their mark and are ready to impart their knowledge, mistakes and learnings to those further down the ladder. And so frankly I was over the moon – I didn’t care I couldn’t get in to the property for the viewing. I learnt far more talking to this developer who has been in the game for 28 years! Specifically about the property; I learnt that the Indian restaurant has been repossessed by the bank, that the former owner still owns the building next door (different bank so he still has that). That he’s furious and vengeful (hence why the keys have been stolen). I learnt the property has a flying freehold with the next door building (owned by the ex-owner of the Indian restaurant). That the Indian guy is well known in the town, has had many properties and cars taken off him and that they mysteriously catch fire. 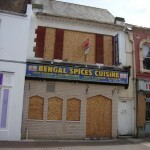 That the biggest landlord in Poole (over 3,000 properties and collecting £1.4million per month in rent and employs a team of “boys”) has also been trying to buy the property from the Indian, that another local restaurant on the Quayside was also trying to buy the building and it only came to the market after their planning was refused by the council and they pulled out of the deal. That the lovely new build which had been built next door and was an effort to spruce up the shabby end of the high street had been sold last year to a housing association after the developer went bust and was now causing trouble with the sort of people it attracted (I had noted the distinctive smell of majuirana and seen the lads sitting on the walls drinking cans of beer at 11 in the morning). But most importantly, I heard his story. I heard what it was like to make a load of money and lose a load of money. Mr Developer was 42, has a successful building company and property agency (I know that I’ve seen them on the high street) Mr Developer started at the age of 16 and has always worked for himself. Mr Developer (who was clearly hugely successful) was also so modest, so well spoken and so nice. He was generous with advice, honest that he didn’t know it all and could only share his opinions and learnings. Mr Developer lost his entire property company before in the previous recession and this time around with a young family doesn’t intend to do the same. 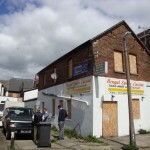 He only came today to view the property because a friend of his is interested in buying it for his restaurant business. Mr Developer while having over 500 properties, a massive income stream and 2 successful companies can still get caught out. Last year, one of his bank’s recalled the property loans he had with them to the tune of £3 million. He had done nothing wrong, he was on a capital and interest repayment loan – but the bank decided to send out a valuer who claimed the properties were worth less than what they were valued for and they wanted their money back. At that time he was on 60-65% LTV loans. He had a perfect credit score, successful businesses, had never missed a payment, had plenty of money going in – but there was nothing he could do – the bank wanted their money and that was the end of the story. He had to move the loans to another lender. And in that moment, I realised what wise advice he had imparted. I could argue that he had an ulterior motive and he was trying to put me off to get a clear run. But, to be honest given the sort of people who want this property I am the least of the competition. What he said rang so true. In property we often feel that it is the hardest battles we fight which will make us the most money. We believe we have to work hard, solve complex legal issues and do major renovations to make it all worthwhile . But do we? Maybe the smarter money is in choosing the right property battles to fight from the outset. Very profound words Sam – I like it! Indeed, words of wisdom from Mr Developer. Having said that, with a multi£M portfolio I guess he can afford to walk away from awkward property deals. Is such a luxury an option for us novices who need to get their portfolio off the ground? That is to say, is pain/trouble ‘par for the course’ for new property developers, in the early days? 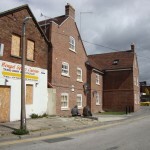 Stan – what an interesting question – is pain/trouble ‘par for the course’ for new property developers, in the early days? Like with every war or battle, there will be casualties!